The veteran former Labour minister and tireless socialist Tony Benn died today. I went to hear him speak at Northampton Guildhall in 1984. I came away realising that he was more or less insane, but very impressed by the strength of his convictions and the articulate passion with which he spoke. 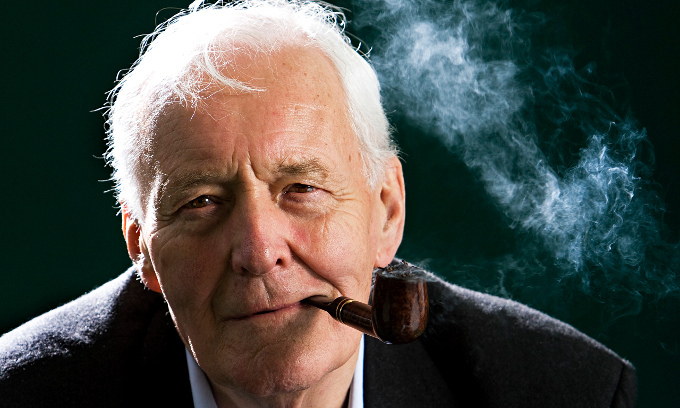 Unlike the ignorant, graceless union leader Bob Crow, who left our planet a cleaner place for his passing earlier this week and with whom he shared the same perverse, long-discredited hard-left politics, Tony Benn had a lot in common with Margaret Thatcher in some important respects – a similar integrity, stubborn courage and outspoken honesty. What he sadly didn’t share was her wisdom and common sense. She was a visionary. He was myopic. History has humiliated him at every turn; reality was his arch-enemy. And where she was a winner, he was on the losing side of every cause he espoused; from Irish unity to nationalisation, from withdrawal from the EU to one-sided nuclear disarmament. He assured us that Britain’s campaign to recover the Falkland Islands would fail. He maintained an unshakeable faith in the state’s capacity to run the nation’s business, long after nationalisation had made basket cases of Britain’s great industries, exporting millions of jobs abroad. And he was convinced that Tony Blair’s modernisation of the Labour Party would backfire. “You don’t win votes by selling out”, he opined in 1994. Blair did just that of course, overturning eighteen years of Conservative rule and winning the next three General Elections with handsome majorities by jettisoning the core principles of his party, and of Tony Benn. Benn was a profoundly misguided man. He lent enthusiastic support to some idiotic and wicked causes, from the Miners’ strike to terrorism in Northern Ireland. But he was instinctively honourable and driven by principle, there is no questioning that. As strange as it may seem, I’m sure he believed every ridiculous word he said. And he undoubtedly had the interests of ordinary people at heart, even though the philosophy he held dear has always failed them.